Moussavi-Najarkola S, Khavanin A, Mirzaei R, Salehnia M, Akbari M. Assessment of the influence of whole body vibration on Cochlear function. 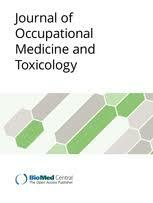 Journal of Occupational Medicine and Toxicology. 2012;7:12. Moussavi-Najarkola S, Khavanin A, Mirzaei R, Salehnia M, Akbari M. Effects of whole body vibration on outer hair cells’ hearing response to distortion product otoacoustic emissions. In Vitro Cell Dev Biol Anim. 2012;48(5):276–83. The 2012 paper has been cited once, according to Clarivate Analytics’ Web of Science. The timeline from submission to publication of both papers was similar. The retracted paper was submitted to the Journal of Occupational Medicine and Toxicology on Aug. 16, 2011, accepted May 4, 2012, and published online June 21, 2012. The authors submitted the other paper slightly later—on Sept. 3, 2011—but the journal, In Vitro Cellular & Developmental Biology – Animal, accepted and published the manuscript earlier—Feb. 3, 2012 and May 2, 2012, respectively. The authors published several other papers on the same topic in 2012 and 2013 (1, 2, 3). The publisher, Springer, referred us to the retraction notice. We’ve also reached out to the authors, and will provide an update if we hear back.